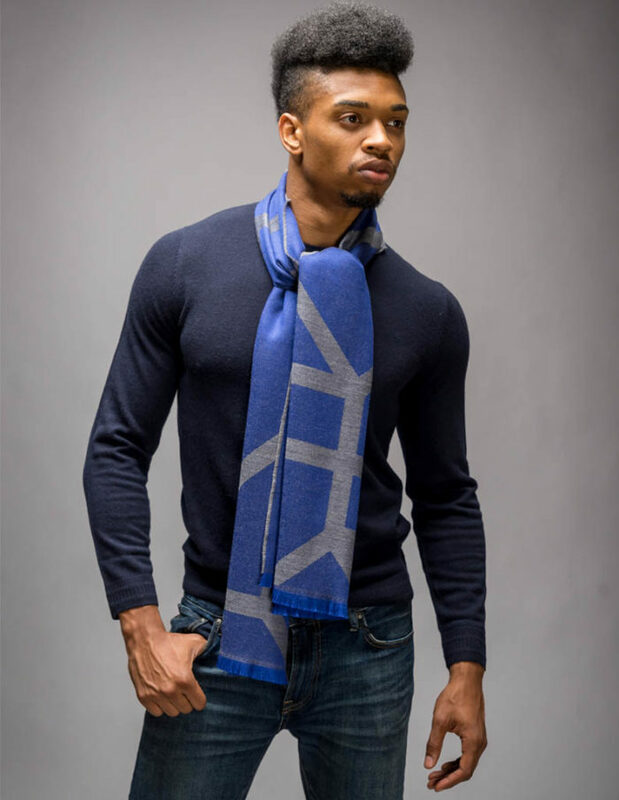 Men’s grey and navy combination wool scarf, The Salar, is crafted in Italy, boasting a bold geometric motif in two shades of grey and cobalt blue. It is super soft and luxurious in touch. 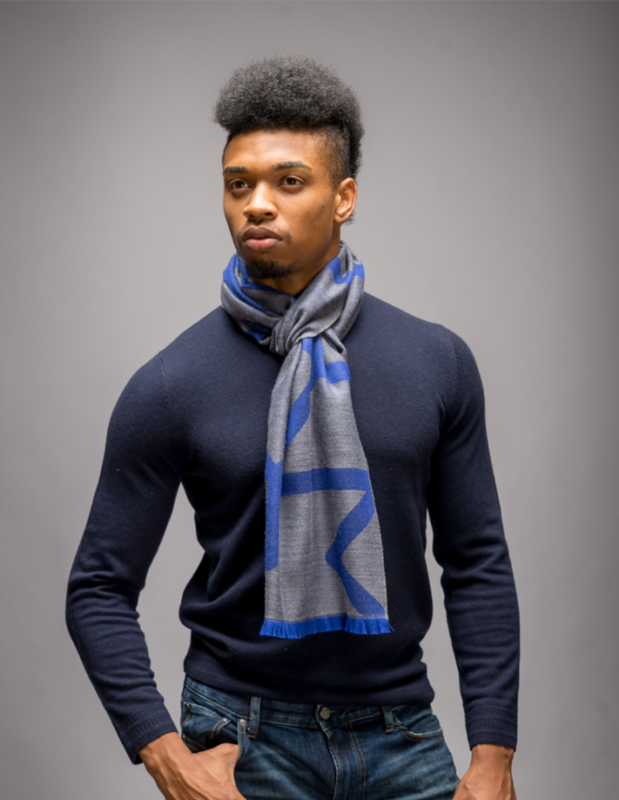 This reversible, timeless and modern scarf matches with any outfit it pairs with; Wear it to work over a blue, navy or grey suit for a stylish and formal look, or style it casually over a pair of jeans and a jacket for a modern look.